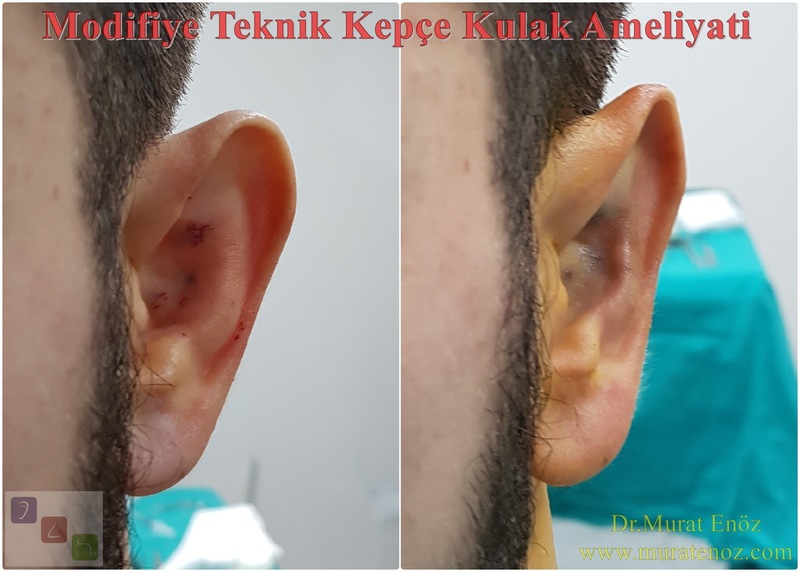 There are different prominent ear aesthetic surgery (otoplasty) techniques for unfolded ear treatment. Among these, the most common known technique is "Mustarde ear surgery", using the permanent suture material from the back of the auricle that lasted for 8-10 minutes. 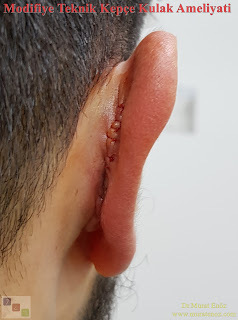 I don't like this technique because of possible stitche reaction risks and after the fall down of stitche auricle shape can be turn bck to previous form. 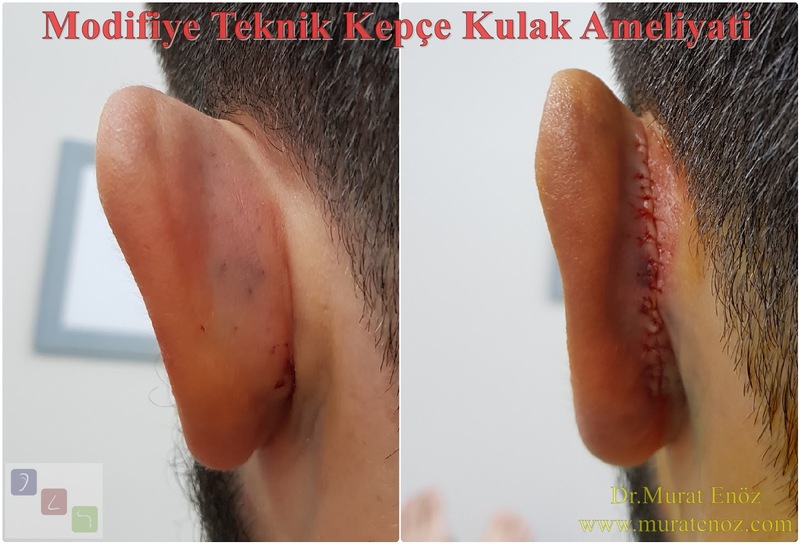 Other similar link about "The Mustarde technique for prominent ear deformity" surgery at >> Stitch Reaction Risks or Infection Risks After Stitch Method Otoplasty Surgery! 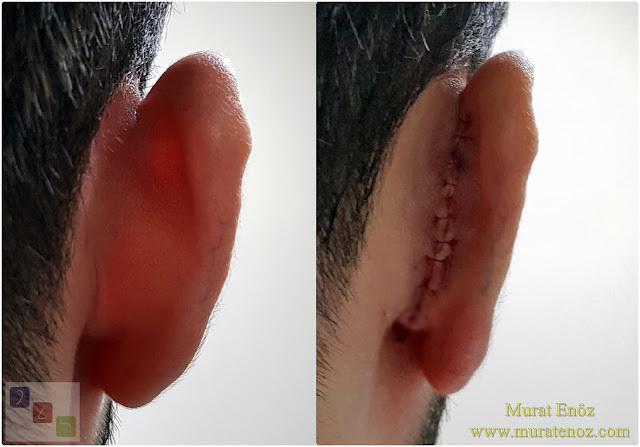 Usually this suture method with scoop ear aesthetic surgery instead; I prefer to do a modified technique of ear surgery. 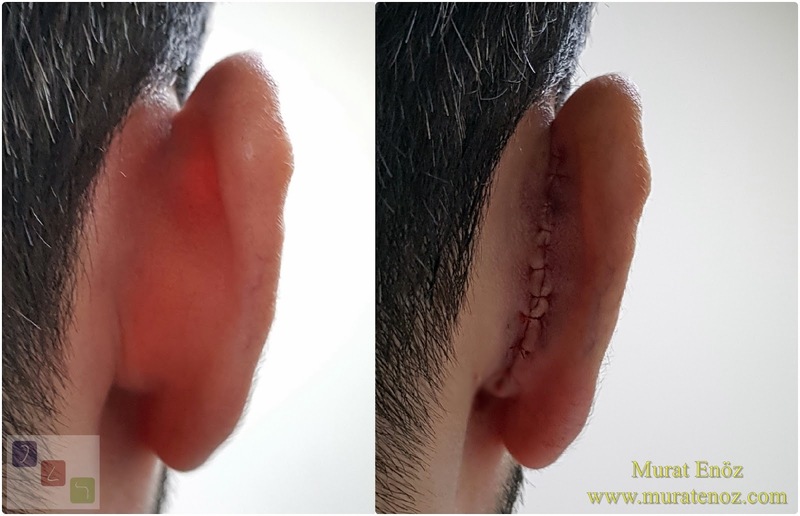 How is the modified technique of otoplasty operation performed? Modified technical otoplasty can also be performed under local anesthesia. 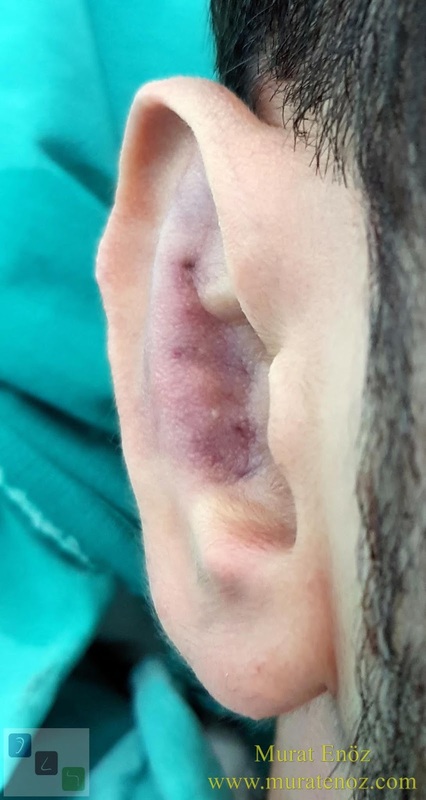 After the injection of the local anesthetic, after the incision is made from the back of the auricle, the antihelical folding needles with inadequate opening are marked on the back and this fold is formed by the suture materials that can be absorbed. Here, the cartilage incision and cartilage shaping are performed in the auricle as schematized in the above image. 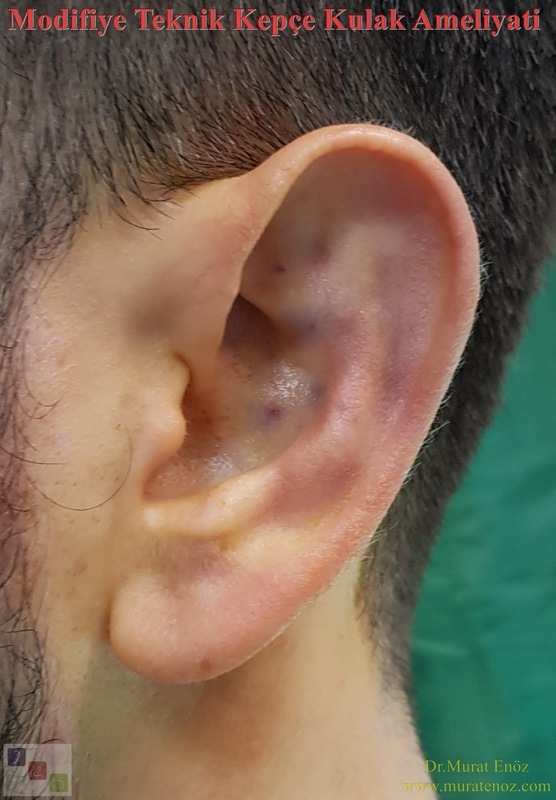 When viewed from the front, non-sharp folds occur as if they were a normal ear pinch twist and can provide a natural appearance. 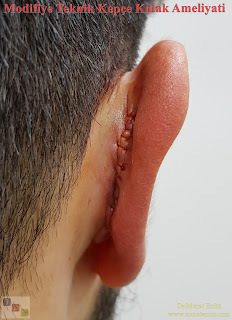 In patients with concha cartilage excess, it may be combined with other techniques and most often prefer to do concha-mastoid suture together. Once the cartilages are shaped, they can be sutured again with suture materials that can be absorbed. In addition, partial resection can be performed from the skin. Usually the processing time is between 30-45 min. After the procedure, the operation is terminated by a printed bandage. 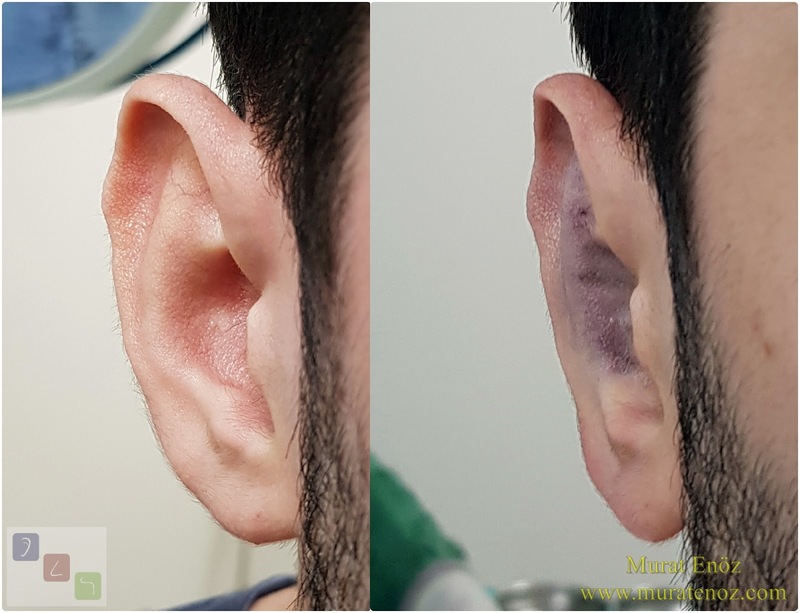 • during the process, the ear folds are intended to form a cartilage with a natural appearance and to create a new crimp and to provide permanent tuft shaping once the healing is completed. 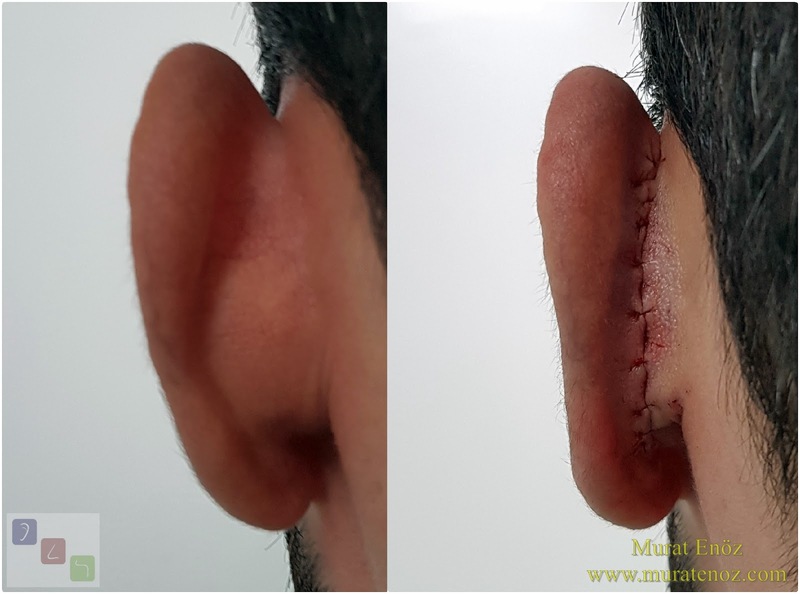 • cartilage shaping or angling may pose a risk of slimming down the stitches and / or causing infection if the permanent and non-absorbable suture material is used. 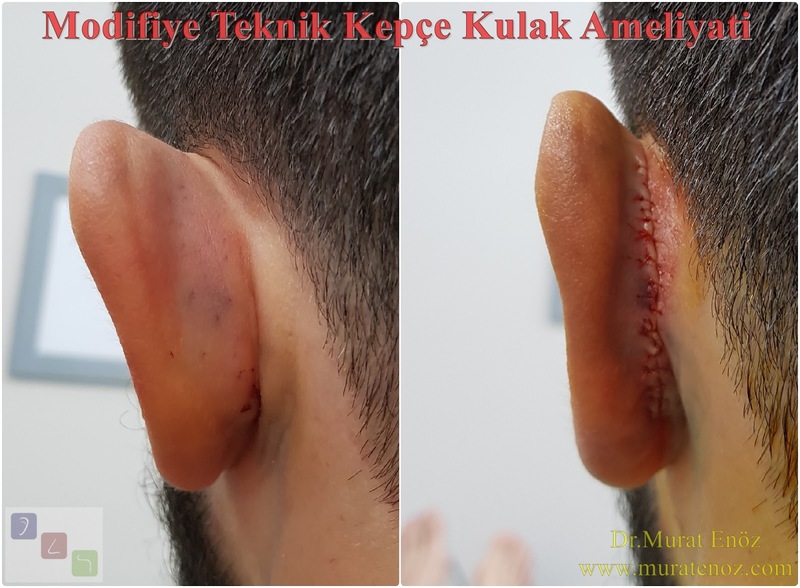 There is no risk of suture reaction, infection and suture material from the skin as the suture material is not necessarily absorbed in the modified technique. • during operation, the sprains are shaped by the help of a scalpel and elevator. As with the sewing method, there is no risk that the ear pinna will reappear after the suture has been completed and the suture is opened or discarded. 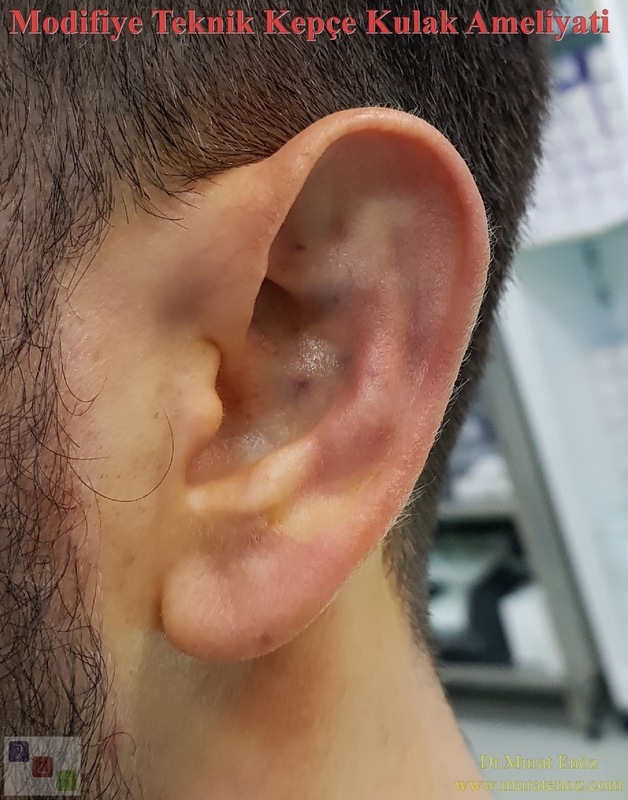 • the re-formation of the antihelical fold in the auricle can result in the appearance of a more natural ear pinching of the folds when viewed from the side and the front. In general, the biggest disadvantage of this technique is that the duration is long. The processing time is usually around 30 minutes, but can be as long as 45 minutes. 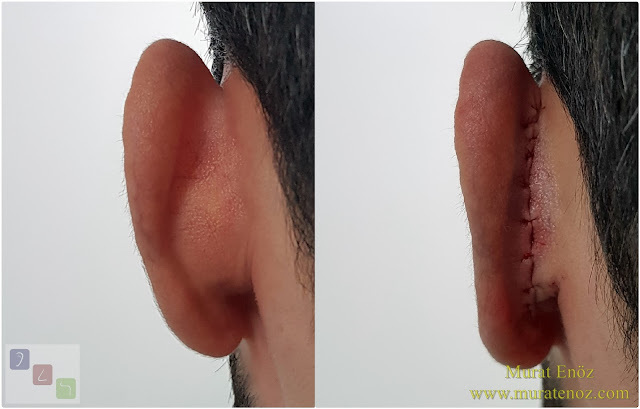 Below you can see photos showing the back, side and front view of the auricle. 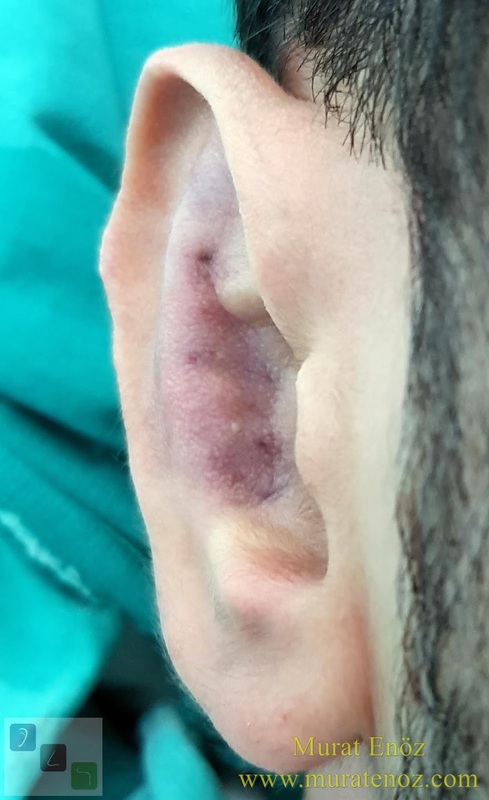 In the case of an antibiotic cream applied to the absorbable suture area at the back, a thin-line incision is usually present in a few weeks. Before the procedure above, the entrance points of the dental needle used in the injection of local anesthetics are seen as small red spots.